LEARN SELF-DEFENSE, GET FIT, AND HAVE FUN! 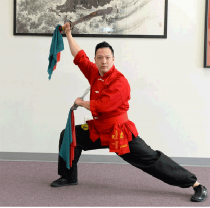 US Kuo Shu Academy is a top-rated martial arts center with locations in Owings Mills and Marriottsville. We offer a large team of highly-trained, experienced instructors and classes 7 days a week so you can fit martial arts training into your busy schedule. Our martial arts focus is in the practice of Tien Shan Pai, a style of traditional Kung Fu originating from the mountains of northwestern China. 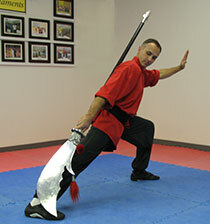 It is well-known as an effective fighting style, but also includes graceful empty-hand and weapons forms. We also place a strong emphasis on Tai Chi (Tai Ji Quan). Tai Chi is a Chinese martial art focusing on internal and external well-being. Also known as moving meditation, Tai Chi combines meditative practices with full body coordination. To complement any martial arts class chosen, we also provide guided meditation. Meditation is an important part of the mind-body connection and a great way to relieve stress. It will improve your Kung Fu or Tai Chi practice as well. You may think you’re looking for kids’ karate, taekwondo, or martial arts by another name. But our kids Kung Fu program is one of the most well-rounded extracurricular activities you can offer your child. Our program is not just self-defense, just physical fitness, or just fighting. We provide children with character development lessons that will last them a lifetime and help them become well-adjusted and productive adults we can all be proud of. Our students learn how to become “good people” with self-discipline, respect, and focus. 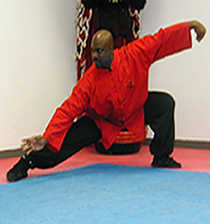 Check out our programs in Kung Fu, Children’s Martial Arts, and Tai Chi for all ages and experience levels. And if you’re worried martial arts are not for you, don’t worry! We offer two free semi-private lessons with no obligation to continue. 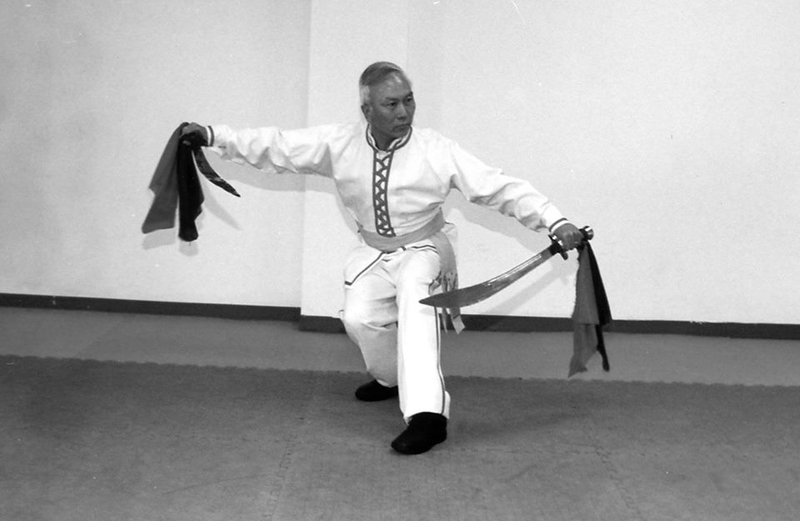 Grandmaster Huang has been promoting the art of Tien Shan Pai since his arrival in the United States in 1973. Today, there are schools all over the world that promote the style passed down from Supreme Master Wang to Grandmaster Huang . Pictured here is his third school location in Cincinnati, Ohio in 1978. I have been a Kung Fu student at the US Kuo Shu Academy for 8 years. The welcoming atmosphere and friendly staff provide a true community feel. There is something for everyone of all ages! Group classes allow students to learn traditional martial arts while meeting new people and forming friendships, and private lessons with the skilled instructors allow students to refine their techniques. Everyone at the school is extremely friendly as well! My years spent here truly shaped me into the person I am today.I would definitely recommend the US Kuo Shu Academy to those looking to challenge themselves and grow as both a martial artist and a person. Great place for kid to expose on martial art. Instructors are very nice and knowledgeable. I’ve been a student at USKSA for two years and have truly enjoyed learning traditional Chinese martial arts here. I learnt Kungfu during my childhood in Hong Kong, and am really glad to have found a Kungfu school in the states that has such a comprehensive curriculum. All of the instructors are super knowledgeable, friendly and supportive. Everyone gets to define their own path here. I have seen the positive impacts, both physically and mentally, that training at USKSA has had on me! Proud to be part of the USKSA family! I have attend U.S. Kuoshu Academy for 13 years, and cannot even begin to describe the impact the school has had on me as both a martial artist and a person. Expert instructors teach the rich curriculum with great skill, focusing on techniques relevant to both self-defense and wellness. However, it is not just the superior curriculum and teaching methods that make this school so special. U.S. Kuoshu Academy truly instills in students its motto 'Virtue, Wisdom, Humility, Martial Arts.' This motto permeates the student body, fostering a community of caring, hardworking, and kind individuals. If you want to become a skilled martial artist and improve yourself, physically, mentally, emotionally, and ethically, then there is not a better place than U.S. Kuoshu Academy. Love the confidence my daughter has developed since taking Kung Fu. I couldn’t have picked a better school. The staff and mentors know each student by name and they really care for them. It’s a positive environment for the entire family. I cannot say enough good things about the US Kuo Shu Academy. They have the best and very professional Instructors. The school is very clean and family friendly. The students are extremely courteous and respectful. I’m glad I am a student at the US Kuo Shu Academy. Grandmaster Huang is the Grandmaster for the Tien Shan Pai style of kung fu. Click here to watch a video compilation celebrating Grandmaster Huang’s 40 years of teaching in the United States. There is no greater return than an investment in yourself. World-class instruction from world-class instructors. People who care, experience you can trust. Industry leader of martial arts since 1973.